How do you become an enrolled agent? 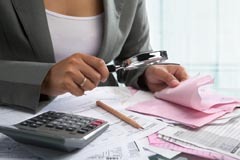 There are two tracks to become an enrolled agent, which are outlined in Treasury Department Circular 230, Regulations Governing the Practice of Attorneys, Certified Public Accountants, Enrolled Agents, Enrolled Actuaries, and Appraisers Before the Internal Revenue Service. The IRS website also provides information on the enrollment process. Prometric administers the exam process for IRS. Learn more at NAEA: How do you become an enrolled agent? What's the difference between enrolled agents and other tax professionals? Check out the official IRS chart that clarifies the differences in testing, continuing education requirements, practice rights and more. See why EAs are America's Tax Experts! Have a question or need to contact us?